Mark Rushby: Pedalsport boss Mark Rushby raced both Cyclo-Cross and Cycle Speedway to a very high standard, winning medals at national level in both. He still competes from time to time in local Cyclo-Cross events and rides all year round, splitting his time between his Road and Cyclo-Cross bikes. Regulars on Pedalsport club rides know that the competitive flame still burns bright for Mark and his mastery of mud and cambers makes him virtually unbeatable in the mock races that make up much of the club’s winter Cyclo-Cross training sessions. 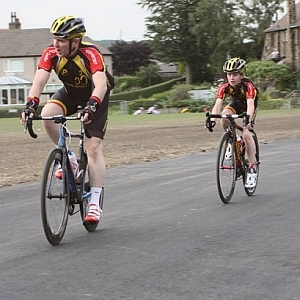 Mark also coaches the club’s Youth riders. 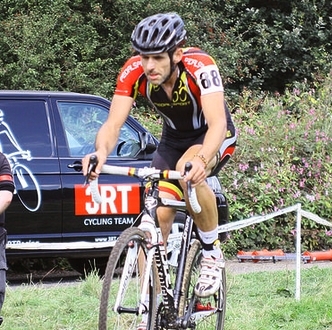 Rick Crabtree: Rick has worked for Pedalsport since 2011 and has competed in Road, Mountain Bike and Cyclo-Cross events for many years. 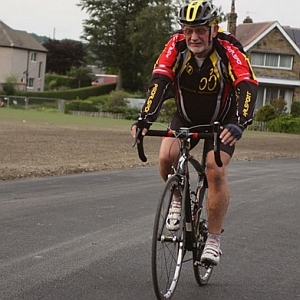 Having just passed a significant age barrier, he is now one of the leading Veteran riders in Yorkshire Cyclo-Cross events, though his first full season in the category was curtailed by a broken leg, picked up when lapping another rider. Rick is well on the way to a full recovery and with his phenomenal training work-ethic should be back to his best very soon! Like Mark, he’s also a regular coach at club sessions. Michael Rushby: Michael is Mark’s dad and works part-time in the shop. A vastly experienced swimming coach, Michael is also a committed cyclist, mixing on and off-road riding and is a regular at the Pedalsport club’s Road and Cyclo-Cross training sessions. There his calm influence and coach’s ability to communicate (i.e. he’s got a loud voice) makes him a handy man to have around when the club’s many “kids” are getting a bit lively! 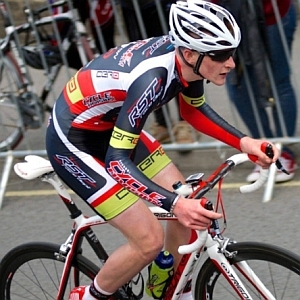 Levi Moody: Levi came up through the Pedalsport club’s ranks and was soon identified as a very talented athlete, particularly in Road Racing. He soon graduated into National and International racing, but ill-health curtailed his 2014 season. He’s currently working part-time in the shop and offers an informed elite rider’s perspective to customers looking for advice on a high-end bike purchase. Max Rushby: Max is the third generation of the Rushby family to work in the shop. Max has inherited his dad’s bike-handling skills and has already shown a talent for both circuit racing and Cyclo-Cross. 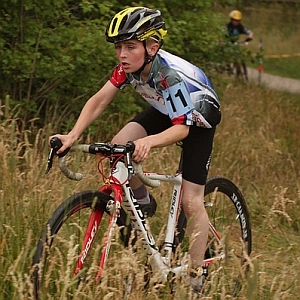 Max is also one of the few riders in the club prepared to take his dad on in Cyclo-Cross training. As to who comes out on top – it depends on whether you speak to Max or Mark, but their encounters are already the stuff of club legend.